Are your home network and connected devices secure? 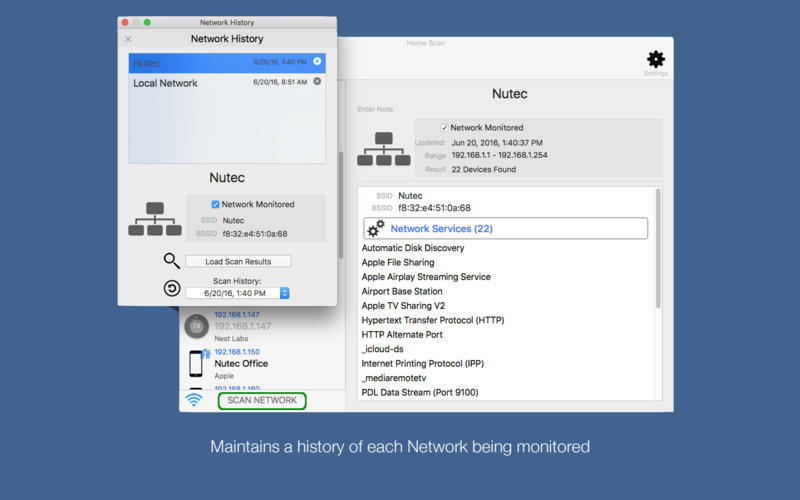 Use Home Scan to find your network security risks and monitor what is connected to your network. This simple to use app includes professional features but allows even the inexperienced user to get an understandable overview of the network and running services. 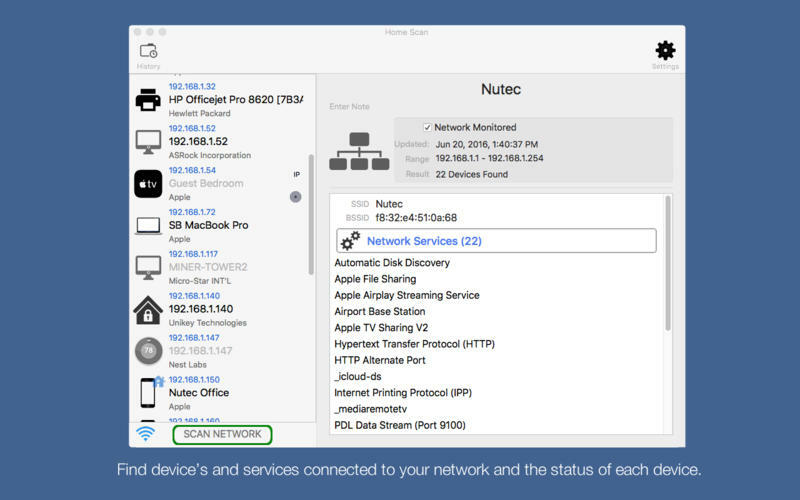 A simple and intuitive interface helps you evaluate security levels, detect intruders and resolve network issues. 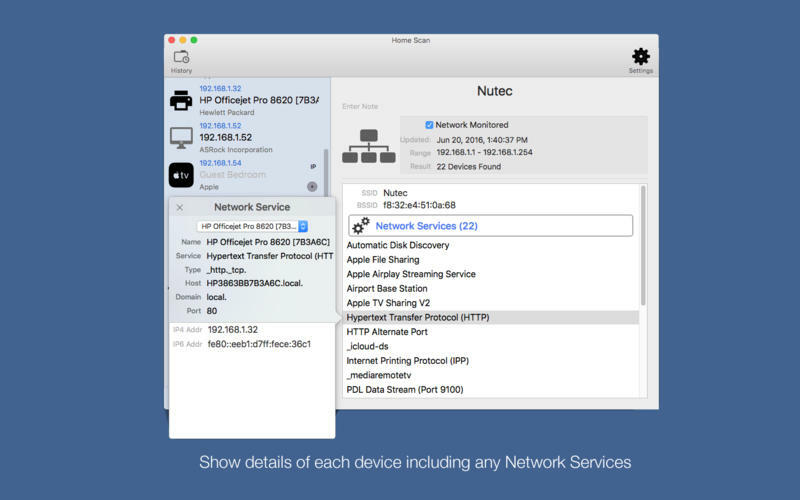 Scan your network to identify all attached devices and security risks. Get notifications on any serious security alerts. NetBIOS, mDNS (Net Services), LLMNR, and DNS name support. Vendor name, IP, and MAC addresses of all discovered devices. Complete history of WiFi scans and devices added and removed. Fixed an issue displaying network name.